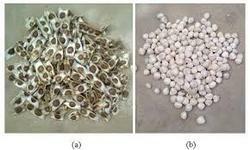 Moringa Seed Kernels are used for Oil Extraction purposes and edible usages. The Kernels are highly pure and fleshy with high quality. With our hitech and modernized stainless steel equipments the seed husks are removed and separated the kernels. Moringa Seed Kernels are used for Oil Extraction purposes and edible usages. The Kernels are highly pure and fleshy with high quality. Efficient name in the industry involved in offering the optimum quality of Moringa Seed Kernels. Moringa Seed Kernels are used for Oil Extraction purposes and edible usages. 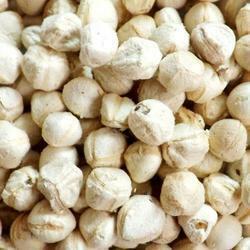 The Kernels are highly pure and fleshy with high quality. With our hi-tech and modernized stainless steel equipments the seed husks are removed and separated the kernels. Matching up with the ever increasing requirements of the customers, our company is engaged in providing Moringa Seed Kernel. Moringa kernel are highly specialized in producing cold pressed method to ensure the quality which is suitable for making value added products like skin care lotions, sunscreen creams, medicated ointments. These Moringa seed kernels can be supplied on order basis.